Brown Farm is located in Scotland, CT on 9 acres of lush, fertile land. 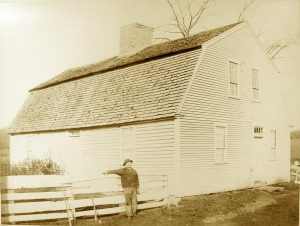 The property was first settled in the early 1700s and has been used for agriculture continuously since that time. For the past 30 years, Sarah Pappenheimer has actively produced fruit, vegetables, poultry, goat meat, and goat fiber from the farm and sold her products at various local farmers markets and fairs. In 2017, Jenna and John Aldrich, both Connecticut natives, took over farm operations and will continue to carry on Brown Farm’s legacy. 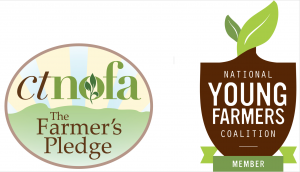 We are members of the New CT Farmers Alliance, the National Young Farmers Coalition, and CT’s chapter of the Northeast Organic Farmers Association. Jenna and John have always been passionate about the outdoors, having met while teaching rock climbing together at a local summer camp. Being outside became a cornerstone of their lifestyle as their family expanded to include daughter Lila, and son Euan. Their love for gardening grew, and every year the kitchen garden grew with it, until most of the lawn had disappeared. It became clear that exposing their children to farming would create the most fulfilling environment for growth, and they were out of space. 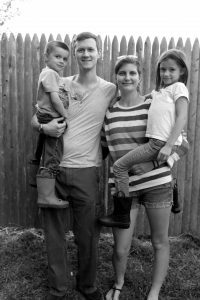 In 2017, Jenna and John (and Lila and Euan) moved onto Brown Farm. Jenna holds the title of Chief Farmer, while John is Part-Time Farmer and Business Manager.